Chest Pain, Shortness of Breath, and Nausea: Are These Always Signs of a Heart Attack? Chest pain is the most recognizable indicator of a cardiac event, but know these symptoms too—some of which can be mistaken for other medical conditions. Chest pain is among the most common symptoms associated with heart attacks, but there are other less-common signs that are worth knowing. If you were to list symptoms of a heart attack, you’d probably start with chest pain. You might follow that up with shortness of breath and nausea. These are all correct, but they don’t tell the whole story. A comprehensive list of heart attack signs includes many symptoms that the average person probably wouldn’t associate with heart trouble. Sweating and vomiting, for example, are common symptoms not always immediately associated with a heart attack, experts say. While understanding these and other symptoms of a heart attack is important for everyone, it’s particularly vital for those at high risk for a heart attack. Chest discomfort in some form is typical during a heart attack. But it’s not always a sudden sharp pain, as it’s often portrayed in movies and on television. Many patients have described the sensation not as chest pain, but as chest pressure. And while we tend to associate heart attack pain with pressure or tightness in the center of the chest or just left of center, it’s possible to feel discomfort on the right side of the chest or across the chest from armpit to armpit. There are other very typical symptoms of a heart attack that have nothing to do with chest pain or pressure. These are signs that may or may not appear with chest discomfort: a significant shortness of breath, for example, or nausea—both common in heart attack patients. Shortness of breath, also called dyspnea, is often felt before any chest pain. You may find yourself unable to take a deep breath, or you may feel like you can’t catch your breath. You may pant or take rapid breaths, trying to fill your lungs. Some heart attack patients feel nausea more than any other single symptom. If there are no other noticeable symptoms, you may mistakenly ascribe your upset stomach to the flu or ordinary indigestion. You may also feel pain in your neck, jaw, or back. Women especially are vulnerable to pain and pressure in these areas. Unfortunately, nausea and vomiting are symptoms of other conditions, such as the flu, food poisoning, extreme stress or anxiety, some forms of cancer, eating disorders, and even some medication side effects. But in most of those cases, you can pinpoint the cause of your gastrointestinal distress. Or you can often eliminate potential causes based on other symptoms you’re experiencing. You’ll usually feel different during a heart attack than you will with a bad case of the flu, for example. Lightheadedness is another one of those symptoms that can often occur during a heart attack, but can also be a sign of many other health problems, such as low blood glucose or low blood pressure. If you experience lightheadedness along with more traditional heart attack symptoms, consider it one more sign confirming a possible heart attack. Other symptoms of a heart attack you may not readily associate with a coronary event include rapid or irregular heartbeats. These tend to come on before the onset of chest pain and other symptoms. Many heart attack patients also get a vague feeling of doom. They describe feeling anxious, that something is wrong, but they can’t explain why. 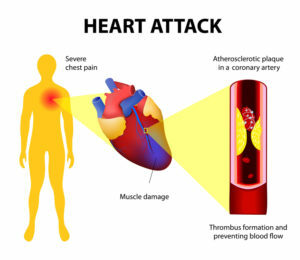 Symptoms of a heart attack often come on gradually. The feelings may be subtle. Keep in mind, again, that every heart attack is different. You may have experienced an event in which symptoms developed suddenly. It’s just important to remember that chest pressure and nausea may progress slowly without your taking much notice. You may be tempted to ignore the signs if they disappear after a few minutes. If they come back, however, take that as a sign to call 911. If symptoms appear and disappear several times within a relatively short amount of time, get to a hospital. The other key point is to respond quickly. Don’t wait an hour hoping the symptoms will pass. If you’re having chest pressure and other symptoms of a heart attack for more than five minutes, get to an emergency room. This is one time when it’s better to be safe than sorry. Chest pain is by far the most common symptom of a heart attack. But if you’ve ever had heartburn, certain types of respiratory problems, or even an anxiety attack, you know that chest discomfort can have plenty of causes unrelated to your heart. How, though, can you know whether the chest pain you’re feeling is or isn’t signaling a heart attack? How can you be sure it’s not heartburn caused by some extra-spicy curry? The truth is, you can’t always tell the difference, especially if heartburn is a new experience and you’ve never had a heart attack or angina­—a condition in which narrowed arteries in the heart lead to chest pain. One helpful tool is to be aware of other symptoms you may be experiencing while you’re sorting out your chest pain. For example, if you have heartburn caused by gastroesophageal reflux disease (GERD), you may notice worse symptoms when lying down. 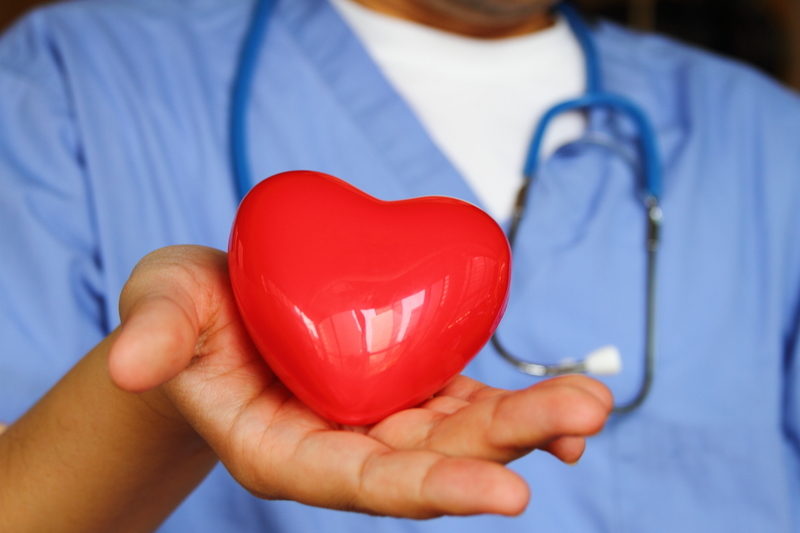 Experts note that heart-associated symptoms may crop up when you’re exerting yourself. 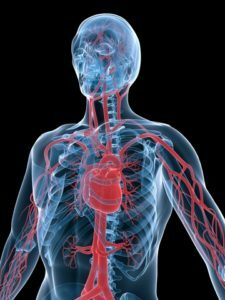 The heart, during exertion, requires more blood flow and oxygen. GERD, on the other hand, doesn’t come on with exertion; it typically is exacerbated by food. A strain of your chest muscles may cause pain in the chest that will change based on the way you’re positioned, whether you’re lying down or sitting up. If you have chest pain while breathing, it’s more often the case that you’re grappling with pneumonia or costochondritis, an inflammation of ligaments in the rib cage. What to do when chest pain starts? We tend to think of heart attacks as sudden events that come on without warning. But experts say there are often warning signs: increasing fatigue, chest pressure or chest pain (see lead story), and shortness of breath in the days leading up to a cardiac event. If you’re ever unsure about your chest pain, and you’re at a higher risk of a heart attack, get help immediately by dialing 911. This article was originally published in 2017. It is regularly updated. a heart attack, an anxiety attack, angina, anxiety, anxiety attack, blood pressure, cancer, chest discomfort, chest pain, coronary, disease gerd, flu, food, food poisoning, forms of cancer, gastroesophageal reflux, gastroesophageal reflux disease, gastroesophageal reflux disease gerd, gastrointestinal, gerd, glucose, health, health problems, heart attack, heart attack pain, heart attack signs, heart attack symptoms, heart attacks, heart trouble, heartburn, indigestion, inflammation, low blood pressure, mild heart attack, mild heart attack symptoms, pain, pain in the chest, pneumonia, reflux, respiratory problems, shortness of breath, side effects, signs of heart attack, stress, symptoms of a heart attack, your lungs. I thought you might be interested in this article on https://universityhealthnews.com: Chest Pain, Shortness of Breath, and Nausea: Are These Always Signs of a Heart Attack?